In cartoons, characters who’ve been hypnotized can be forced to do crazy things they’d never do in real life. But that’s not how hypnotism really works. Read on to learn more. Franz Mesmer, an Austrian scientist, first introduced the idea of hypnotism. He believed that a hypnotist had mystical, magical powers that could be used to control his subject. This effect was called “mesmerism.” Early ideas about magicians, swaying clocks, and hypnotism likely came from him. 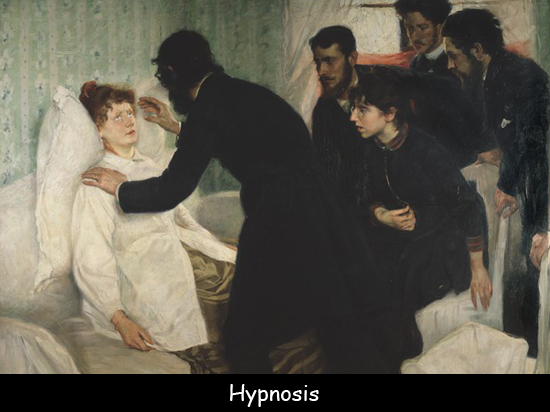 Today, scientists and psychologists see hypnotism as a natural state of intense focus and relaxation. During hypnosis, someone shuts out other distractions, focusing intently on one thing. When we read a book, watch a movie, or drive a car, we’re in a sort of hypnosis. During hypnosis, people are usually more relaxed and more creative. They’re also highly suggestible. That means, they are more open to ideas and requests. Doctors use hypnosis to help people deal with pain, trauma, and even challenges like ADHD. Women have used it during childbirth. People use it to overcome bad habits, such as smoking, or to get a better night’s sleep. During hypnosis, people are more willing to listen and respond to ideas, but they still have control over their actions. They won’t do something that they really don’t want to do. Some people are more easily hypnotized than others. Children are especially good at hypnotism because they are naturally imaginative. Find out more. Declan, Tobin. " Hypnosis Facts for Kids ." Easy Science for Kids, Apr 2019. Web. 18 Apr 2019. < https://easyscienceforkids.com/hypnosis/ >.